Each year many people start the new year with aspirations of goals they look to accomplish in the upcoming year however in many cases the year goes by and many goals are not accomplished and little has changed. People continually attempt to set New Year’s Resolutions but constantly fail to succeed? So how can we increase our chances for success? This post is for professionals with the attitude, expertise and drive to thrive in life. Of course there are many more than 5 techniques to increase your chances of success in the new year but I’m giving you my top five. My partners and I at Rock My Image like to call these five strategies, Getting In Tune. 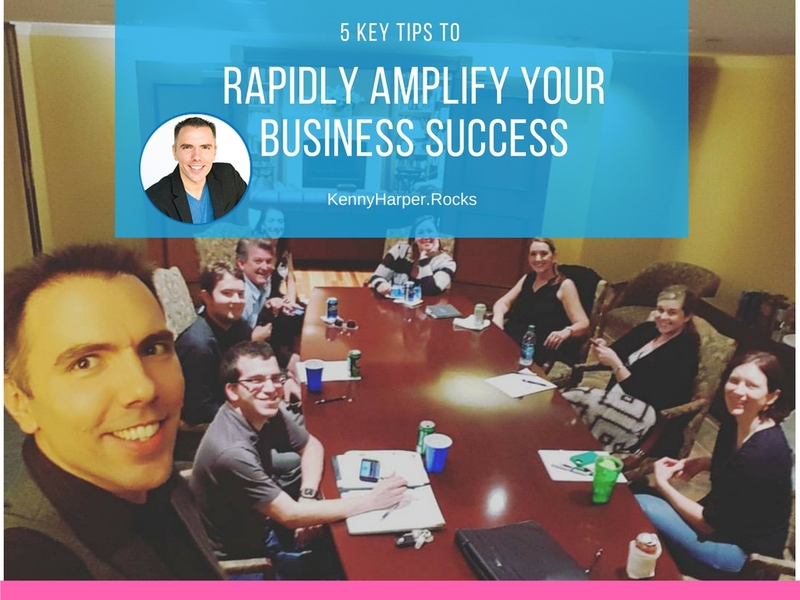 We outlined them in our book Amplify Your Business: The Rockstar Professional’s Guide to Marketing Success. You can score a copy of our book on Amazon.com OR you can also tune in to the Audio Book on SoundCloud. We’ve come to understand that most people don’t fail because lack of effort they fail because they didn’t get in tune with the end in mind first. Beginning with the end-in-mind is one of Steven Covey’s 7 Habits of Highly Effective People. Define the ultimate end result you seek to obtain. While this may seem painfully obvious, it is commonly overlooked and many people set goals that don’t actually contribute to what they really want. Example: You may set a goal that you want to run a marathon, but you may really just want to get in shape. If you don’t truly have the desire to run a marathon then you probably won’t take the efforts to make it happen and may not achieve what was really important to you. In this instance you should create a different goal that better targets your clear objective. Set a vision for the midterm or long-term future that identifies what you want to achieve or accomplish and paints the picture in full detail. Example: You may want to generate more money in the new year. Well how much money are you looking to earn? What do you plan to do with the money? What will you buy? What will you invest in? How will that make you feel? The better you can picture what you are aiming to achieve the better your chances are to achieving it. By envisioning your goals in detail you can evoke the law of attraction and measure the future actions you plan to take to ensure they are helping you move towards achieving your vision. When you have a large goal you’d like to accomplish it becomes imperative to identify the pathways to succeed in reaching that goal. By establishing your mission you are outlining the actions and efforts that you will commit to in order to achieve your goal. Example: If you find you are too stressed out and not getting to enjoy your time, you would identify the actions and efforts you will commit to in order to make the needed changes. Efforts in your mission may be committing to listening to a podcast with regular strategies that may help save you time, investing in business systems that could empower you to save time or making meditation a regular ritual for yourself. While these efforts may take some time, if you want to achieve different results you must be willing to try and commit to new techniques. Tapping into the energy that drives you forward is a must. Successful people are driven by having a greater understanding of their purpose and the bigger picture behind what they do. Taking the time to build value and drive for the big goals you seek to accomplish is vital for success. Example: You create a goal to to spend more time with your family or travel. Having the general desire to do that is one thing but thinking about how that would make you feel, how that would make your significant other feel, how that would make your kids feel and how that would add true value in your life makes it much more powerful. Understand what your driver is and amplify it to get more power from it and you will greatly increase your chances of success. Your action plan is the steps and actions that you will take, prioritized in a timeline complete with milestones, rewards, and consequences for completing your goals. For those who aim to succeed you need a plan. Think of anybody who has ever achieved anything substantial, they had a plan to make it happen. When you set a plan and execute it you’re on the fast track to success. Even if your plan doesn’t work as intended, you’ll learn what works and what doesn’t and can then take corrective actions to reach the goal. So there you have it. 5 Steps to Rapidly Amplify Your New Year! BONUS TIP: Take the initial actions right now to put these five steps into action! What goals are you planning to achieve in the new year?